Looking for a dance school to enrol your preschooler for dance classes? Meet us at Creative Dance Academy. We are located in Sydney’s West and have dance schools at six locations throughout the Hawkesbury, Blacktown, Hills and Penrith areas including Vineyard, Bligh Park, Stanhope Gardens, North Richmond, Cranebrook and Wilberforce. At Creative Dance Academy we pride ourselves with experience in the teaching of dance since 1988. Our goal is to ensure that our young students learn the basics of how to dance while having fun and meeting friends along the way. We offer a variety of classes for different ages and different dance styles, including ballet, tap, jazz and funk dance. We are teaching preschool dance classes for children between the age of four and six, however we also offer classes for younger and older kids. We believe that no age is too young for a child to learn dancing. If you wish to find out more about our preschool dance school, please contact us or take a look at our timetable. We are happy to help you find a preschool dance class near you. Why to start dancing as a preschooler? The benefits of starting to dance at a preschooler’s age are endless. While some benefits are particular to a certain dance style, such as preschooler ballet, all dance classes are highly beneficial and support the development of your child. Preschooler dance classes help the young dancers physically, emotionally, socially and also intellectually. All dance classes are high-intense physical activities and help your child’s overall health and wellbeing. Preschool ballet classes and preschool jazz dance classes, for example, are an ideal way to learn coordination. Our young dancers will learn how to coordinate their upper and lower bodies while at the same time it also helps strengthen their arm and leg muscles. On the social aspect, dance classes area great way for kids to learn how to work together and how to succeed as a team. We teach dance classes for preschool children in a fun and relaxed environment, many of our students build friendships while doing what they love – dancing. 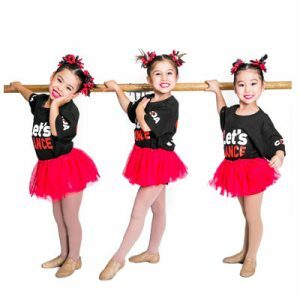 While we offer private coaching, most preschoolers will start with group dance training where they learn the basics of dance and coordination and learn an easy to follow choreography. At Creative Dance Academy, we ensure our students have many opportunities to perform. As we have discovered, allowing a dancer to perform in front of an audience gives them more confidence and raises their self-esteem. When our young students see the smiles on their audience faces for the first time, it boosts their motivation to do even better. Most importantly, it is a reward for their hard work. Dance classes will teach preschoolers not only the art of dancing but it sets the foundation for some important life skills such as patience and hard work and we are proud to see when our young students grow into confident and secure teenagers. All Creative Dance Academy dance school, all classes will support your child’s physical, emotional, social and mental wellness. If you are curious to find out more about our dance school, just call us on 0401 968 606 or contact us by submitting the form below. Questions about our preschool dance classes?